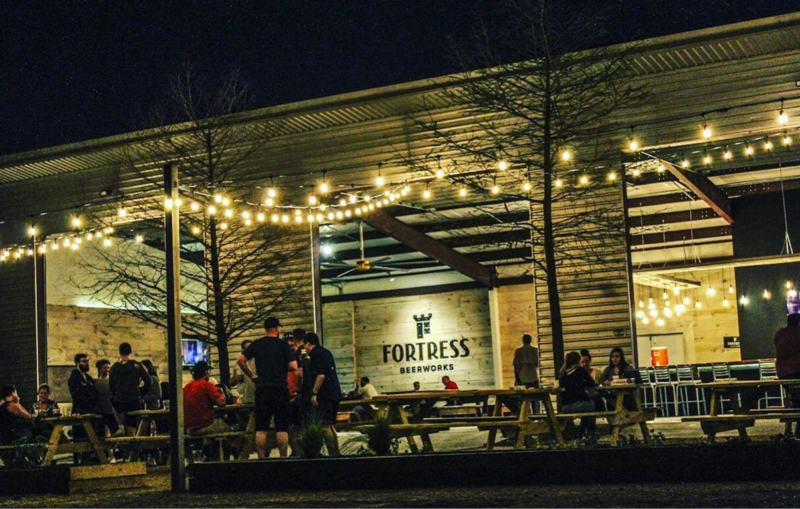 Spring, Texas – March 27, 2019: Fortress BeerWorks, a family-friendly craft brewery, opened in Spring on March 21. The brewpub is located at 2606 Spring Cypress Road and will serve a wide variety of beers in its taproom. In addition to the taproom, the brewpub features a wide selection of beers that are brewed onsite. Some beer choices include blonde ale and their signature Smash IPA. The brewery has both indoor and outdoor patio seating with future plans to expand the establishment. Fortress BeerWorks has also partnered up with the area’s local food trucks, allowing patrons the opportunity to indulge in delicious meals while enjoying a pint or two. Visitors can watch both local and national sporting events showcased on the television screens throughout the brewery. The brewpub also features live music on the weekends. Fortress BeerWorks is open Thursday/Friday 4 PM – 9 PM, Saturday 12 PM – 6 PM and Sunday 12 PM – 4 PM. The brewpub may eventually expand its hours. Check out www.facebook.com/fortressbeerworks for more information.